Last weekend tSB took a trip to Portland for our first annual Summer Retreat! We went to Portland because the Rose City was hosting this year’s Street League competition. Street league is an international completion for professional skateboarders hosted by ESPN 2 and put on by Nike SB and a bunch of other dope sponsors. tSB totally got the royal treatment. We stopped at the food trucks in downtown Portland for a hasty lunch before dropping off our stuff at the Portland State University dorms. Eager to get to it, we headed straight to the Rose Garden Arena where we spent most of the afternoon. The skaters in the group, that is, most of us, were really geeked to see some guys like Torey Pudwill (who gave one of our own a pair of headphones) and David Gonzalez, hanging out and signing stuff at the entrance. On our way out, Eric Koston and his kids were there. You should’ve seen some of our dudes’ faces. It was adorable. 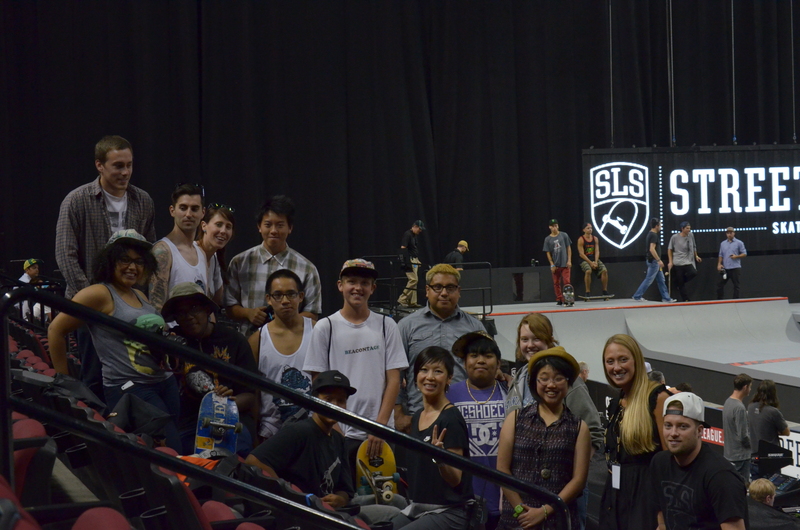 We got an amazing tour of the arena from Street League extraordinaire Yulin which included an exclusive look at ESPN’s central media command! 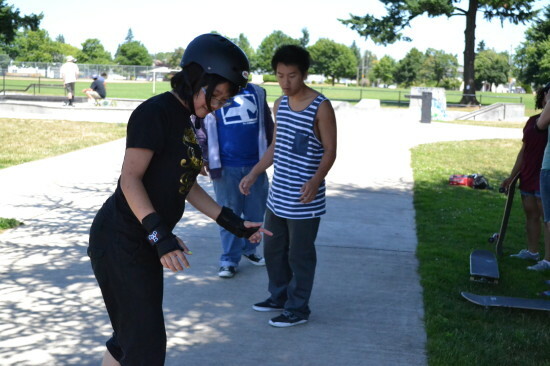 Before leaving the arena, Yulin and her team told us all about how they started working with Street League and how the skills we learn at tSB could help us great, creative jobs like that too. Finally, we watched the pros practice for a bit before heading to Ed Benedict Skate Park to do some practicing of our own. That night we made pizza together and bonded as a group. After an early morning Voodoo Doughnuts breakfast run the next day, we stopped at the famous Powell’s Bookstore and visited one more skatepark to practice before heading back to the Rose Garden to watch Street League 2013. It was an AWESOME weekend.